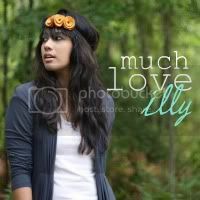 much love, illy: awkward/awesome thursday...to be or not to be?! 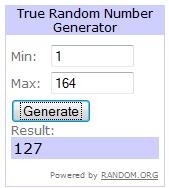 + a giveaway winner!! awkward/awesome thursday...to be or not to be?! + a giveaway winner!! a man threw a toilet at us and succeeded. and this (not the toilet) was what she threw at me. she's such a little joker, isn't she? 3. when you sit in the middle section of church (where lots of people sit behind you) and you stand up to sing, but then you feel your velvet dress is shorter than normal. oh, right. velvet likes to stick to cotton leggings...and was that a draft that i felt? 1. shipping out 72 muchloveilly products out to the post office yesterday! 2. hearing that Ryan's best friend (also named Ryan!) got engaged to an amazing girl! (tummy is rumbling, taste buds salivating as i type those delish words)! and last but not least, the winner of the Alely's suh-weet giveaway! and i think that this announcement is 2 days overdue. but sure enough we have a winner to alely's incredible giveaway!! so that you can get your hands on a OhSweetLeeme product! if i were you, it'd be a tough choice! alely, thank you for such an awesome giveaway! p.s. 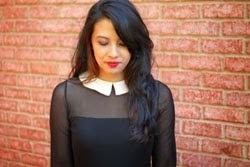 speaking of giveaways, did you see rhianne's dreamy giveaway?! Peanut butter oreos... you are kind of blowing my mind right now! That sounds really awesome. Somebody really threw a toilet at you? How the heck? I hate standing up only to realize that my dress is much shorter! And congrats on having so many sales! That's awesome! LOVE the little bit of yellow under the purple and your story made me giggle and your GORGEOUS! congrats on all of the sales, that is so awesome! A toilet? Lol. Your sister is TOO funny!! Congrats on your orders girl!!! I am so sorry about your allergies!! and L O L about your velvet dress/cotton tights!!! That always happens to me!!! When I am walking my dress rides up and I am CONSTANTLY pulling it down! and I realllllllly want some peanut butter oreos and Micky Dee's AWESOME smoothie!! Yummmmmmm! LOVE that bag! WOO HOOO on the 72 items! I hope I was one of them. :) Your little sis is so cute! The toilet idea TOTALLY caught my attention. Congrats to the winner. Hope you're having a great day and that those allergies calm down! 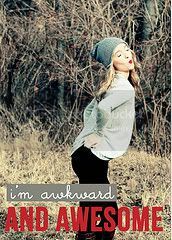 Being awkward is awesome. I can define awkward sometimes, being the tallest kid in class all my life, and now tallest person in family etc. Pricking your finger is THE worst! My mom sewed her finger through the sewing machine this year. YIKES huh! Cute as always my friend..
your awkward moments made me laugh :) I can probably think of some awkward moments this week.. I'm so glad that your business is going so well sweetie!!! Congrats! I love that purple shirt you are wearing! It looks so comfortable and loose! you are so funny. When I read that first statement , I read it like three times so confused! ha ha! Happy St. Patrick's day love! Yay for Shea!! She totally deserves to be a winner! I really like your top. And congrats to the fiancees! 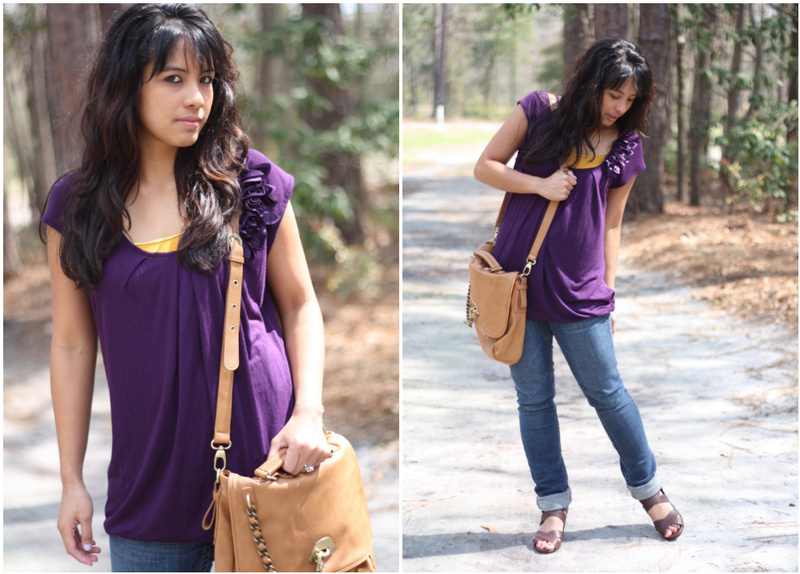 love your purple blouse great simple look!!! You are beyond the cutest! 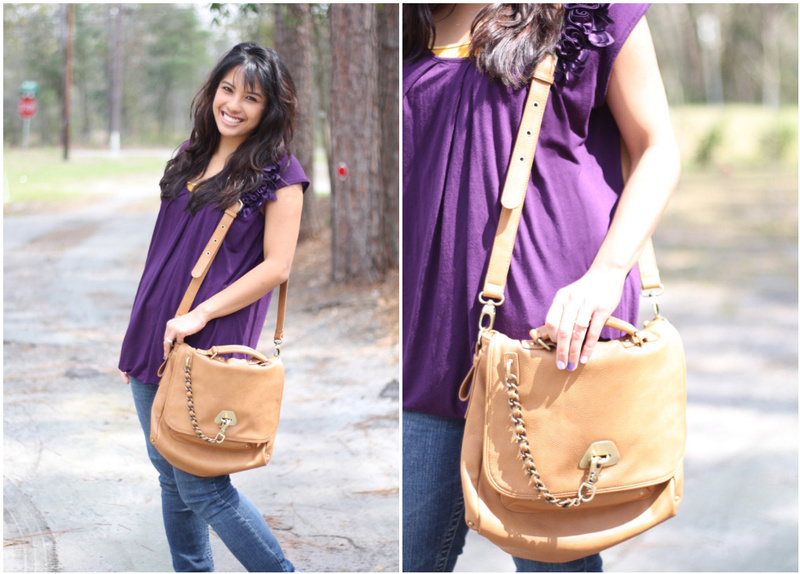 I love this outfit, and that bag is so amazing! Loved your awesome awkwards! Totally loving purple on you! What a killer bag...cute AND functional! like i said on twitter...i wanna be like ilene when i grow up! 72 orders....you rock! congrats to the winner of my giveaway! can't wait to hear from them.